Overachiever might be an understatement for Miss Universe New Zealand 2016 Tania Dawson. This 24-year-old beauty finished her Bachelor of Arts, double major in Drama and Film/Television, and Media Studies, from The University of Auckland. She also holds a graduate diploma in secondary teaching. Aside from working as a secondary teacher, she has also volunteered at Variety-The Children’s Charity and has event managed a fundraising fashion show. Get to know more about this beauty. and catching pigs, well I guess that one’s pretty obvious. 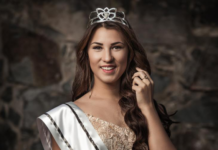 For 2 years I was pressured by friends and family to enter Miss Universe NZ and I said no. To start off with I was in my last year at teacher’s college and I didn’t feel the timing was right. Then in my first year of teaching, once again I felt that the timing was ‘off’. By the third year I was honestly beginning to doubt my chances and interestingly the pressure from friends and family had lifted, it was then that I knew I HAD to enter. So this was not so much ‘a mistake that I made’, but more a mistake that I ‘would’ have made, had I decided not to enter in 2016. For me life is not about looking back but more about moving forward. If you want one word it’s Beautiful. But there is so much more to New Zealand than just it’s incredible scenery. We have always been a country of immigrants and are still to this day, therefore our population is vibrant and diverse. The the one thing that binds ‘kiwis’, (that’s what we call ourselves), together is that we are ALL welcoming and friendly. Skin – you only have one and you need to look after it. Make-up is great but one thing that many young women forget to do is take it off properly. This is something that so many of us find a challenge. Getting into shape. It’s something that can’t be done overnight and there are no magic fixes. For me toning up was and is all about hard work and perseverance. Finding the right programme, trainer and regime is half the battle. Social media is an active part of all of our lives in 2016 that’s the reality, through our phones it is with us 24/7. Like everything it has upsides and downsides. For me Facebook and Instagram have enabled me to connect with more people than I ever dreamed possible. I am able to share positive messages around subjects that I feel passionately about, like education and also I am able to share the joy of my journey. However, I see some real downsides. The word role-model is over-used, people’s mistakes are magnified and often we listen and take note of opinions that before the advent of social media we would and should have simply ignored. Social media reflects the best and worst in our society, bullying on social media is simply unacceptable as it is in real-life. First of all, I would ask those people exactly what part they find degrading. As a contestant I don’t feel degraded in any way. My journey has been one of empowerment, enrichment and a celebration of who I am. Pia Wurtzbach, the current title-holder. After perhaps the most extraordinary start to a reign of any Miss Universe she has gone on to show us that she was absolutely the right person for the job. She has brought freshness and honesty to the role. Pia has demonstrated that persistence pays off, as she had entered her own national competition a number of times before she took out the title. Whoever wins this year will have big shoes to fill. If I was to win the title my goal would be to promote the idea that in life everyone needs to ‘embrace opportunity’, as that is something that I have done. We are all here for a purpose but finding ‘purpose’ is often what holds people back. As a teacher every day I see that a ‘fear of failure’ enables an ‘inability to succeed’. Life isn’t easy and you don’t always reach your target, but if you don’t aim or try for it, you’ll be left thinking “what might have been”. I would prefer my students to look back on their lives and know that they gave it their all. I believe that I’m a strong and focused young woman, I listen and respect those who have something to offer me and the world at large. My career as a teacher exemplifies the fact that one of my biggest rewards in life is to help others find and then realise their potential. I can only imagine that if I were to win the title the opportunities presented would simply enhance and develop any skills that I already have. Firstly to those who are supporting me, I want to say thank you. The enthusiasm and in some case fanaticism has been a very exciting thing to experience. I do want to say that for me competing at both a National and now International level is both an honour and a joy. As contestants we become like family and we develop strong friendships that will outlast any test. YES it’s a competition and YES there are 80 young women who would like to win the title, but taking part is as important and I know that this experience will stay with me for a lifetime.